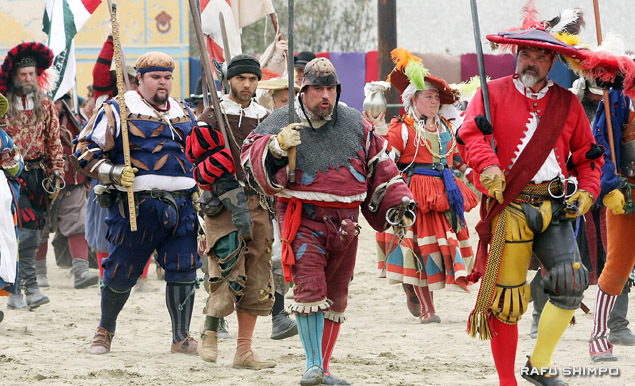 The Renaissance Pleasure Faire opened its 51st season April 6, and runs weekends through May 19 at the Santa Fe Dam Recreation Area in Irwindale. 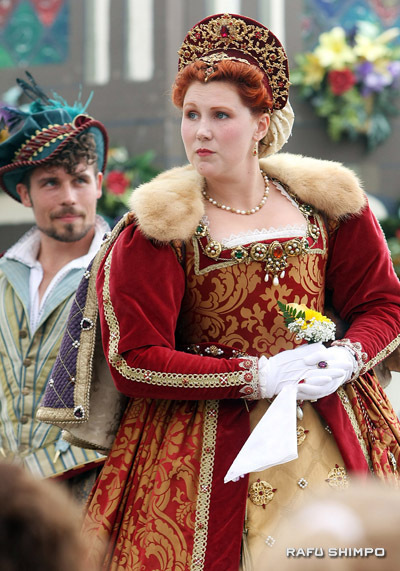 The world’s oldest such Old England festival recreates the royal shipyard city of Port Depford, during the reign of Elizabeth I. Fairgoers—many dressed in period costumes—are immersed into the music, language, merchants and entertainment of the era. 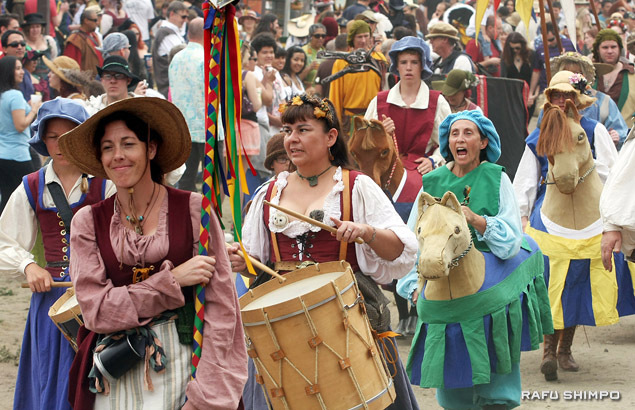 Hundreds of performers rove the 20-acre lakeside shire, including the newly elected lord mayor, the evil sheriff and his wife, along with Her Majesty herself and Sir Francis Drake, as well as a bevy of knights, ladies, witches and peasants. 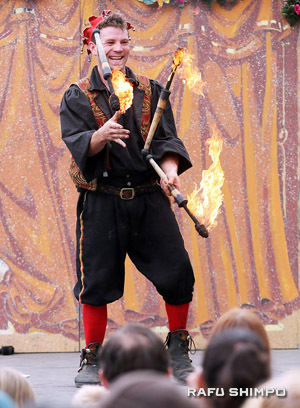 Attractions include 15 stages of entertainment, featuring more than 40 performance groups, such as knife throwers, witty shows, musicians, storytellers, jugglers and improvisation troupes. 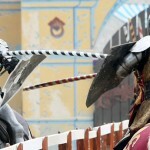 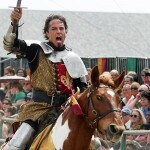 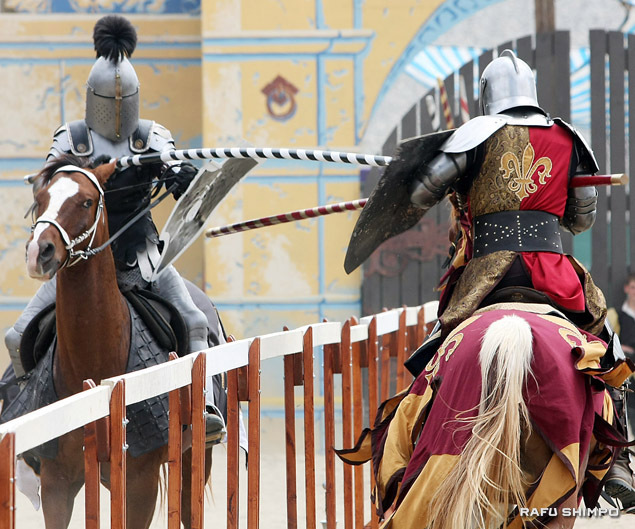 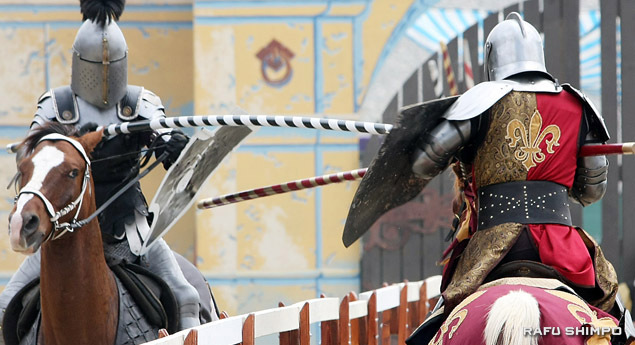 There is also a jousting tournament, where select and elite challengers test their mettle in spectacular tests of equestrian skill and noble bone-crunching jousts of honor. 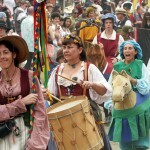 Visitors enjoyed dressing the part for the Old England events. 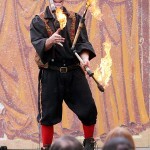 Gypsy Geoff’s displays his fiery feats of skill. 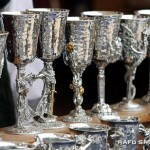 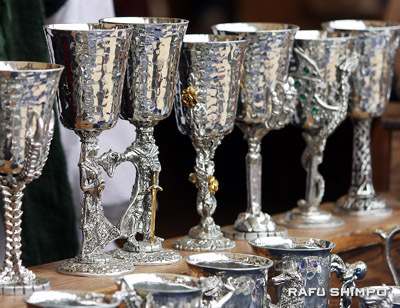 Pewter goblets await the next feast. 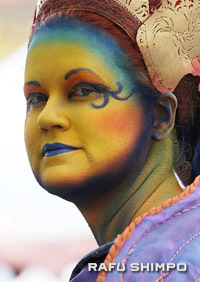 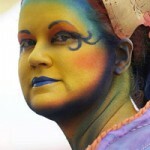 Face painting and period costumes add to the authentic flavor of the festival. 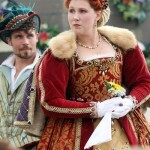 Her Majesty herself, “Queen Elizabeth,” prepares to hold court on stage. 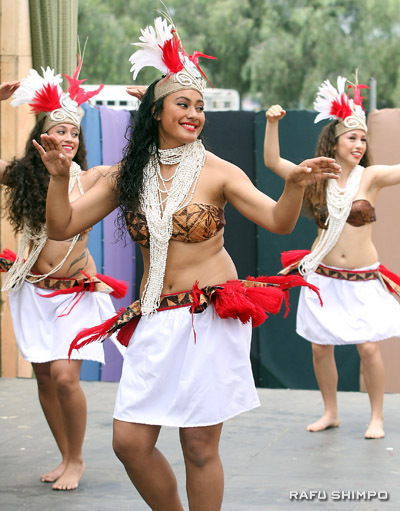 Members of the dance troupe Tupua perform on the Trader’s Market Stage, which featured a host of acts. 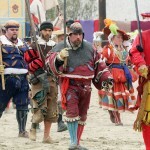 Soldiers after a mock battle between warring kingdoms gather up their dead, wounded and weapons for the long journey home. 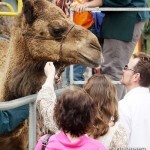 Many took advantaged of the chance to ride and meet a camel up close. 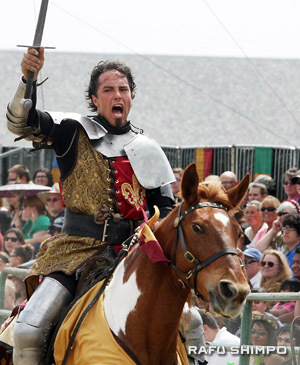 In the Queen’s Joust there is only one victor, and only he can take a ride around the ring and proclaim victory. 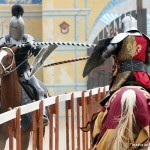 Combatants compete in the Queen’s Joust, part of a program of several simulated and actual battles.